After clocking 150,000km on her last trip to work on Friday, the V-Strom was safely tucked away in the garage and I started to get ready for the run-in trip over the weekend. The AT is, you could say, stark naked. Apart from the centre stand, not a single accessory has been fitted to it yet, so packing for the weekend was the first challenge – not that I needed a lot of things for a couple of days over which most time would be spent on the bike, but when you start counting, it adds to quite a few items: rain suit, winter and summer gloves and scarf, cameras, batteries, food, water, etc. In the end it all fit neatly into a small Ortlieb bag strapped to the rack and a backpack. At a quarter to seven I walked into the car park and fired the AT for her first big trip. 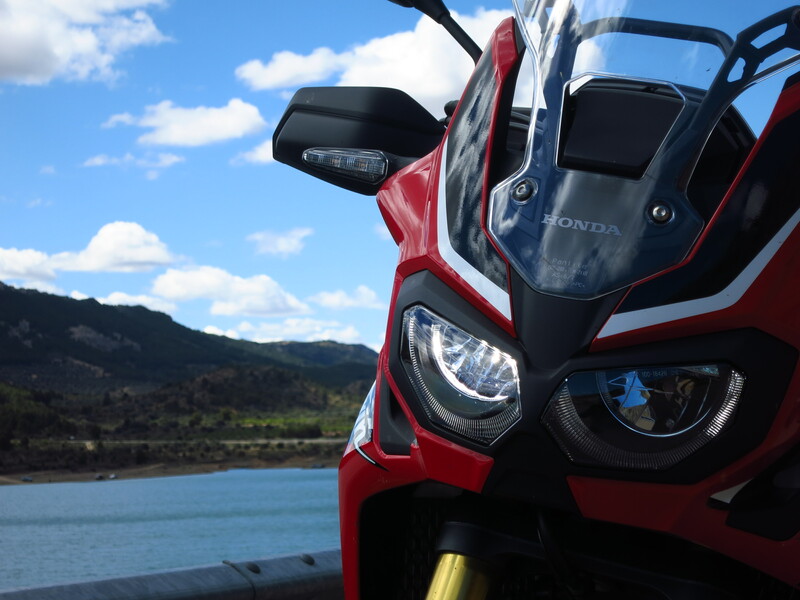 The engine roared to life instantly, happy to know it was going to be taken for a proper ride – it is curious how motorbikes sound different when they know you are taking them out on the open road instead of on the daily commute. 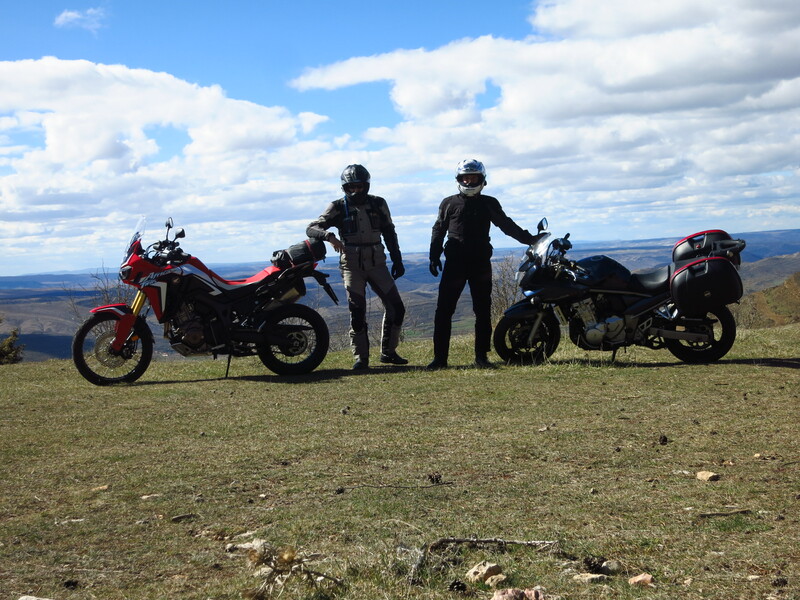 I met a friend of mine who has recently joined the biker world and was adamant that we took it easy, so it was a perfect chance to run the AT in gently. Looking forward to a good weekend of riding practice, he led the way out of the city on his Bandit and we started the first leg of our journey on the motorway. 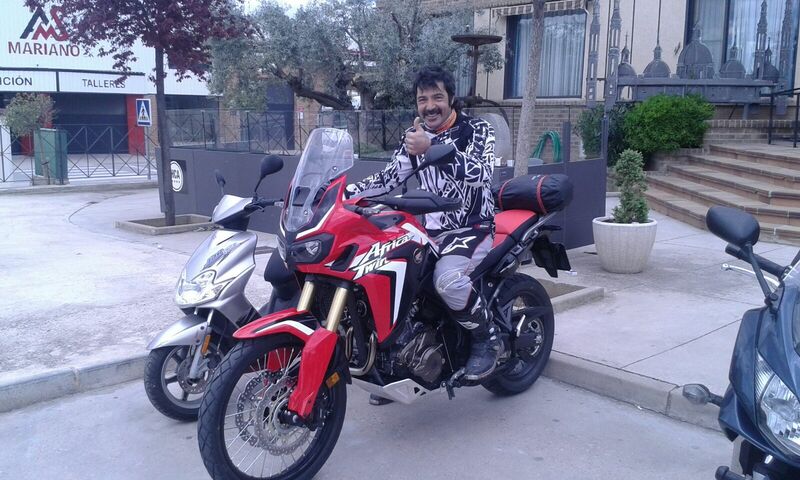 With a lot more time to assess the motorbike, this first stint revealed that the AT is a very good long distance touring bike – the engine is smooth and relaxed at a steady motorway cruise, and I found wind protection to be rather good, particularly around the legs, which I had not expected on a bike that is a bit on the narrow side. On the other hand, while the screen works definitely better than other screens fitted as standard, it is too short for me, so that is one thing that will need changing as soon as possible. My other complaint regarding wind protection were the hand guards – they do not extend low enough to cover the tips of your fingers, and on such a chilly morning, my hands got cold fast. They are attached to the brake and clutch lever mounts, so they cannot be rotated down without the levers also moving. Again, it is not a big issue since I was planning on replacing them with Barkbusters anyway as they are merely cosmetic, they do not offer any real protection for the levers in case of a fall. 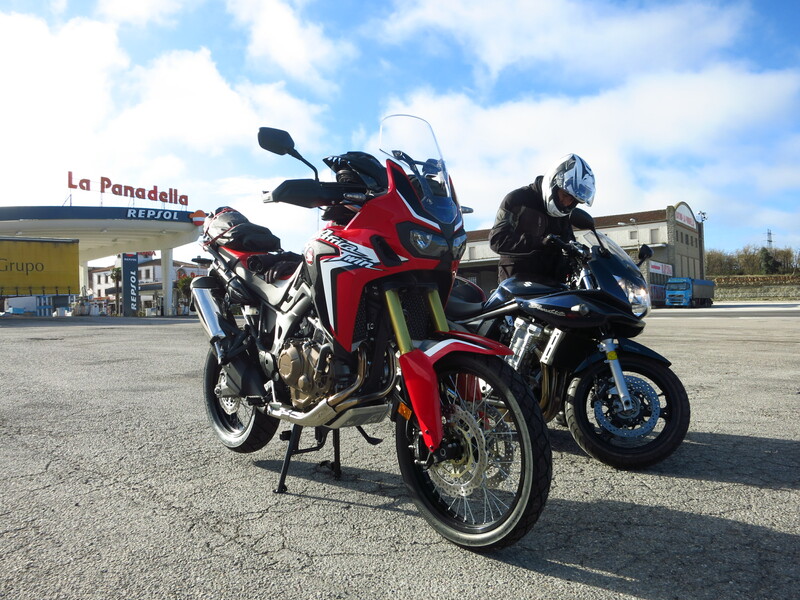 After a stop in La Panadella to put on some extra warm clothes – it was 5ºC – I started to regret not having fitted the heated grips. I thought I could postpone that investment now that summer was coming, but I was already missing them sorely on this trip. The day did not get warmer until we turned off the motorway and took the C-12 heading south to our first fuel stop in the town of Maials. Fuel consumption had been surprisingly low for an engine that was still tight, and on the fast, undulating 30km of C-12 leading here the AT felt light and eager to gain speed even though I was keeping the revs below 4,000 and sticking to gentle throttle openings. Time to turn to the back roads, then! From Maials we took a road that was little more than a paved dirt road – I cannot even give you the road number because Google Maps does not list it as a road – and it revealed that the AT suspension was a bit on the hard side. I was amazed at how agile a bike with such suspension geometry and a 21” front wheel was and how well it behaved on the road. 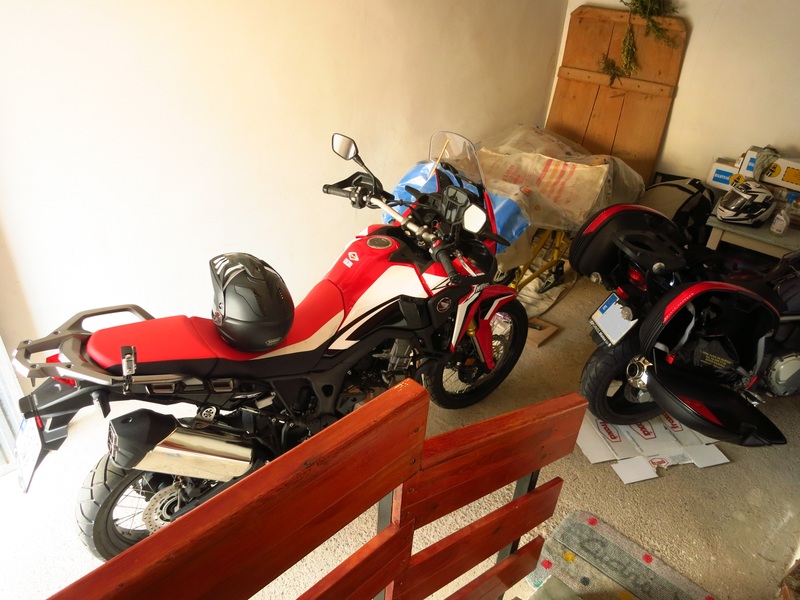 Now, I must confess I am close to a complete illiterate when it comes to suspension set up – my V-Strom has a simple system and other than fitting stiffer progressive springs my experience in fiddling with the suspension is limited to dialing in more preload when I carry luggage or a passenger. 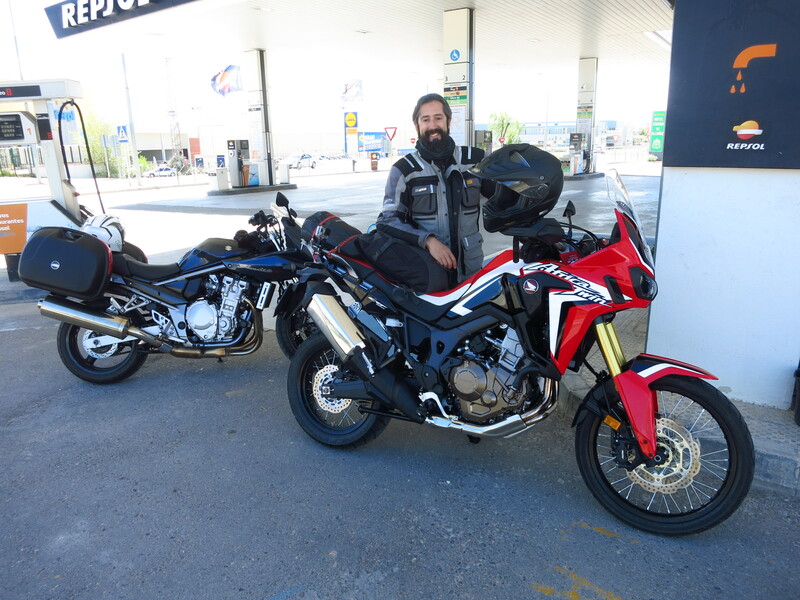 What I can tell is that the AT suspension felt harsher than I expected on bumpy roads and broken tarmac, unlike the Super Ténéré, which had a very plush ride. I imagine that the AT is set up on the hard side to favour good on road behaviour, so I will have to experiment a bit with compression and rebound settings. The problem is, I do not really know where to start, so if anybody want to offer advice, leave a comment below. Once we reached the town of Mequinenza we took better roads to Alcañiz, where the AT really shined. The weather was getting warmer, the wind that had been bother us since early morning had calmed a bit and we were heading towards one of my favourite rides – the road that crosses the Maestrazgo hill region (route description coming soon). The roads on this route are a perfect combination of a complete lack of traffic, good road surface, mountain passes, slow and fast corners, and an absolutely stunning landscape. It provided the perfecto opportunity to run the bike in properly – lots of regime changes and working up and down the gearbox. The only negative comment I have to make is that sometimes the bike did not go into 6th gear smoothly. On those occasions the gear lever would not click all the way in and the indicator on the dashboard would be slow to change from 5 to 6. Then, when opening the throttle again, the gearbox would jump into a false neutral. This happened several times and the only way to prevent it was to kick 6th gear in firmly when changing up. Hopefully it was just a run-in issue and it would get smoother after the first oil change. I made a mental note to point it out to the mechanics in the first service. Other than that, the bike was performing faultlessly and exceeding my expectations. 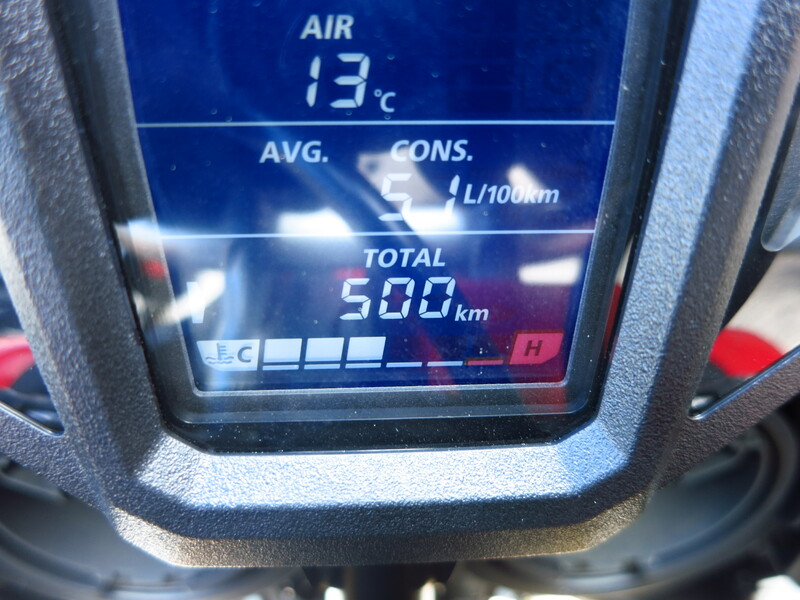 Halfway through this part of the route it reached 500km and I started bringing the revs up to 5,000. We reached our destination by early evening and after settling in and starting a good fire in the hearth we set about checking the bikes. Oil consumption had been negligible, chain tension was correct and all nuts and bolts were still tightly attached – I double-checked the ones on the front mudguard, as there have been several reports of people losing them. For the ride back I was planning to take a more direct route on A-roads for the first half of the journey and then the motorway for the last 200km. We set off later to avoid the cold and the day rewarded us with glorious sunshine and little wind for the first half of the ride. My friend, who was still on the learning phase, was completely transformed, leaning more confidently into corners, braking later and keeping a faster pace. So much so that when we stopped for breakfast he suggested skipping the motorway altogether and continuing on A and B-roads, so we turned east on the N-420 and then north on the C-12B until we reached Flix, where we took a much narrower and deserted road. This leg was quite windy again, but the AT proved to be a very stable touring bike even in those circumstances. We rode past the Montsant and Prades mountains, the AT happy to be revved a bit higher and my friend making incredible progress with his riding. This detour added a good two hours to our return journey, but it was most definitely worth it. We rejoined the motorway in la Panadella, where we had made our first stop on the outbound journey, and from there it was a relatively short stint back into the city, which cemented my decision to order a taller screen. The only thing we did not do was go off road, partly because I wanted to be gentle on the AT for the run-in period, partly because my friend was on a road bike, but the AT proved to be a more than versatile bike in all other aspects of the trip. Well, it also proved to be an attention magnet… I had people walk up to me to chat about it every single time we stopped. There is no better way of meeting new friends! 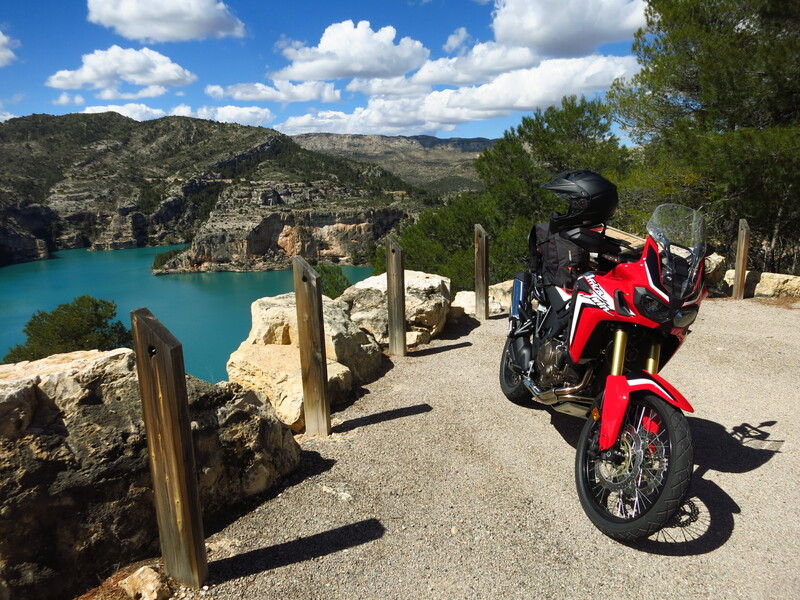 This entry was posted in Travel and tagged Honda CRF 1000 l, run-in by Kilian. Bookmark the permalink.